GNU and Free Software Foundation founder Richard Stallman has some strong thoughts about the idea that some or all software should transition to the cloud, an idea that is backed by many of today’s software and computing giants including Google, Microsoft, Adobe, Amazon, and Apple. “It’s stupidity. It’s worse than stupidity: it’s a marketing hype campaign,” Stallman told the Guardian newspaper. Why does Stallman feel so strongly about cloud computing? It’s kind of hard to tell, but somewhere in his tirade is a cogent point out loss of consumer control when everything transitions to the cloud. The reaction to Stallman’s rant on the blogosphere has been very mixed. 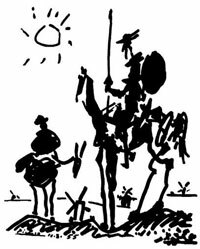 More than one commenter on Hacker News has compared him to Don Quixote. But Stallman has something of a valid point, if expressed with perhaps more than a bit of hyperbole. Web applications do raise some inherent privacy concerns, as well as concerns about who actually owns the application you’re using and what happens to your data when you put it into the app. From the mainstream perspective, this has never been embodied for me better than in a conversation I had a few months ago with my girlfriend about Google Docs. 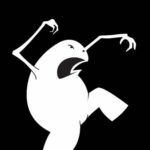 At the time, I printed the conversation (paraphrased and heavily edited to remove the bits where I had to explain how various aspects of web applications work) in a post on ReadWriteWeb arguing the necessity for web apps on the desktop. That conversation is relevant here, too, though. I think her view is a fairly common one expressed by mainstream users. Rightly or wrongly, the idea that your documents (or photos, or videos, or whatever) and personal data are off somewhere on some server interacting with software that you have no control over, in an environment that you have no control over is a scary one. It will make cloud applications a tough sell for the mainstream. That’s why some companies are betting on the client plus the cloud as the future computing model. That might alleviate concerns users have about being locked into a single system, especially when combined with principles of data portability. Of course, Stallman’s rant went a bit over the top. Cloud computing is clearly not stupidity. The term may have been co-opted for marketing purposes and twisted over the past few years, but the general concept is sound and has promise.